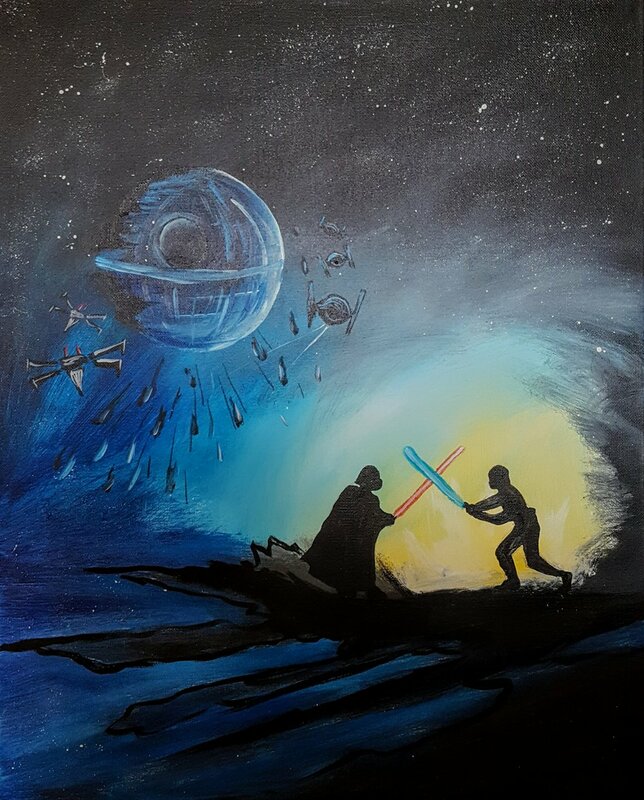 You’re sure to enjoy your night out as you are instructed through a 16x20 canvas painting of Dark Vs Light. Whether you come alone, with friends, for your first date or 50th, you can bet you’ll leave with a masterpiece! The evening begins at 6:30 and lasts about two hours. Make sure you come about 25 minutes early to settle in!